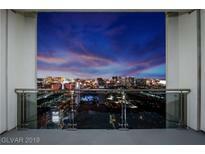 Below you can view all the highrises for sale in the Palms Place subdivision located in Las Vegas Nevada. Listings in Palms Place are updated daily from data we receive from the Las Vegas multiple listing service. 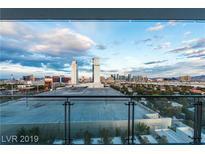 To learn more about any of these highrises or to receive custom notifications when a new property is listed for sale in Palms Place, give us a call at 702-323-5933. Palms Place is a condo hotel and owners can elect to participate in the hotel rental program, rent through a third- party or keep it private. Photos of similar unit. MLS#2086761. Livello Realty. Fully furnished w king bed, sleeper sofa, 2 TVs, fireplace, & stainless appliances Short-term rental options available! (Photos of similar unit) MLS#2085816. Livello Realty. The Amenities include: Pool, Spa,Gym,Concierge, Restaurants, etc... MLS#2086118. BHHS Nevada Properties. The property is a condo hotel & owners can elect to participate in the hotel rental program or keep it private. MLS#2084114. Ameropan Realty and Property. Fully furnished with king bed, sleeper sofa, 2 tvs, rainfall shower, jetted tub, and kitchen w stainless appliances. MLS#2082799. Livello Realty. Fully furnished with king bed, sleeper sofa, 2 tvs, rainfall shower, jetted tub, and kitchen w stainless appliances. MLS#2082802. Livello Realty. The Amenities include: Pool, Spa,Gym,Concierge, Restaurants, etc... MLS#2073449. BHHS Nevada Properties. 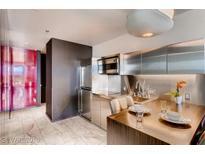 Tower features 24 hour Room Service, Pool, Spa, Gym and Valet MLS#2069383. Urban Nest Realty. Huge walk in shower. Hardwood and marble floors. MLS#2069573. REMCO. Incredible opportunity for a unit in the Palms Place. MLS#2066039. Acclaim Real Estate. Enjoy the finest amenities including fitness center, pool with cabanas, spa, restaurant, concierge, and so much more! MLS#2064778. eXp Realty. Enjoy all the amenities, restaurants and inner circle membership privileges. MLS#2062795. Schumacher Realty Group. The Amenities include: Pool with Cabanas, Spa, Gym, Concierge, Restaurants, etc... MLS#2061838. BHHS Nevada Properties. The home offers 3 bed/5 bath, private gym, DJ booth, full bar & commercial-grade kitchen. MLS#2048809. BHHS Nevada Properties. Fully furnished w king bed, sleeper sofa, 2 TVs, fireplace, & stainless appliances Short-term rental options available! MLS#2033396. Livello Realty. All Located within The World Class Resort The Palms Place Hotel and Spa Featuring Restaurants, Spa, Pool, Cabanas, Concierge & Fitness Center! MLS#2029167. Luxury Estates International. Amenities Include Business Center, Fitness Center, Community Pool & Spa W/ Cabanas, Security, concierge, & More. -ask About Private Financing. MLS#2025224. Keller Williams Southern Nevada. HUGE balcony w/cantilevered spa! This unit will amaze! MLS#1939663. Simply Vegas.